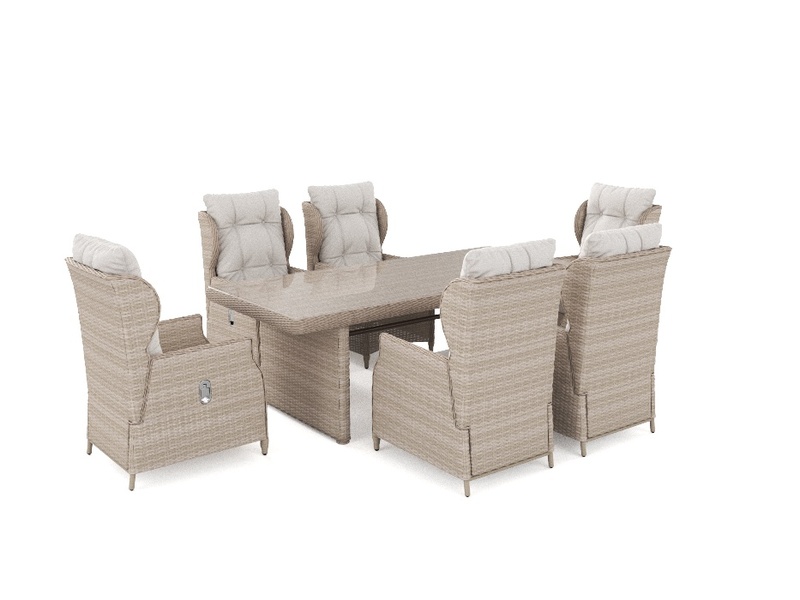 With the BARIYA L 6-seater dining set you will experience dining at a whole new level of comfort! The luxurious sized seats with thick high density foam cushions will make it even harder to get out of your seat after your meal. Perhaps you can even have a snooze! The BARIYA has an exclusive feature… when your guests ask, what does this lever do at the side? Press it you’ll say! See their surprise as they are made even more comfortable as the chair reclines. The stable chairs also boast high backs for added comfort. 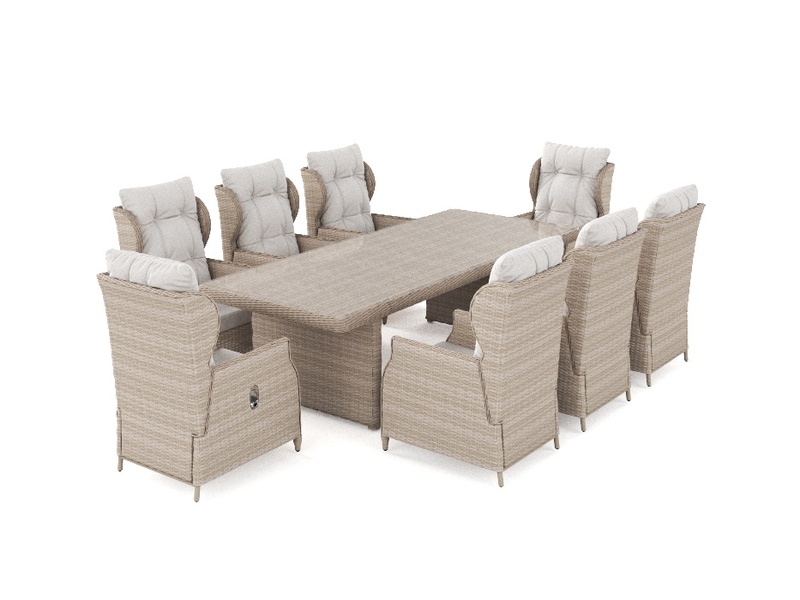 If you enjoy eating in comfort then the BARIYA dining set is for you! The frame is made from powder-coated aluminium, so it won’t rust in the rain like a set with a steel frame would. 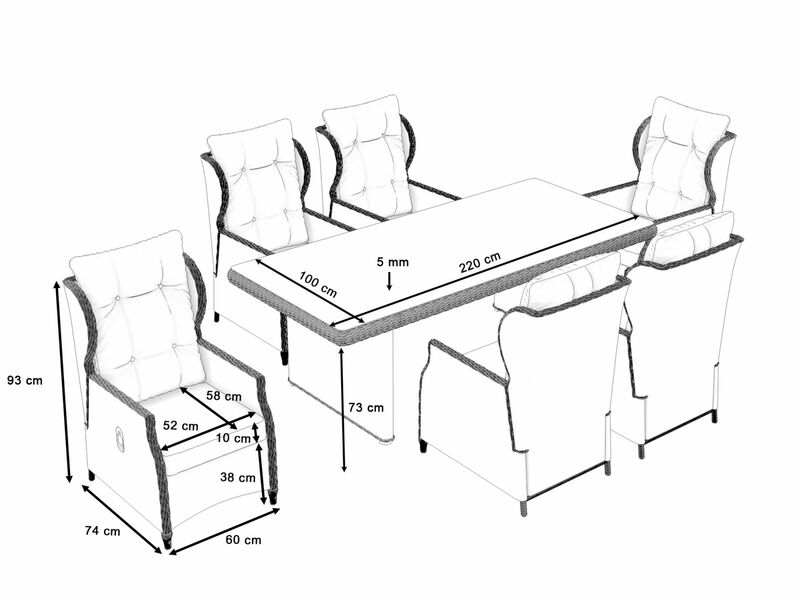 The grey seat cushions are included in the delivery and are fully UKFR (UK fire resistant). The cushions are water-resistant, but we recommend taking them indoors when not in use in case of inclement weather. The aluminium frame is lightweight, which makes it easy to move around.